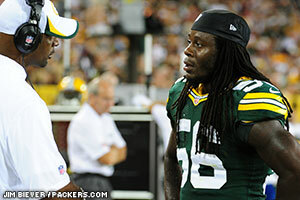 North Carolina State linebacker Terrell Manning made it six defensive players in a row and threatened to make this an all-defense draft for the Packers, as the Packers traded a sixth-round pick and two seventh-round picks to the Patriots to move up to pick 163 in the fifth round and select Manning, 6-2, 237. Manning made 10 sacks in the last two seasons. 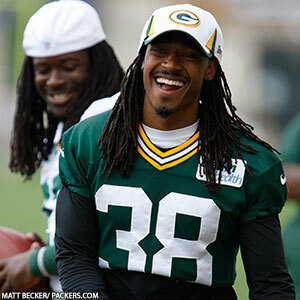 He’s run in the 4.7’s, but speculation is the Packers view Manning as more of a prospect to play inside linebacker. Manning recorded 10 sacks and 25 tackles for loss over the last two seasons as a starter. 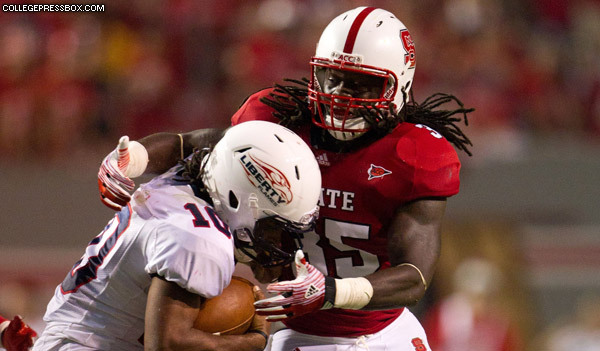 He’s an early entry, having redshirted in 2008 and playing three seasons for the Wolfpack. He posted numbers all over the state sheet, adding eight forced fumbles, five fumble recoveries, nine deflected passes and five INTs in his career. He earned honorable mention All-America honors from the NFL Draft Report and second-team all-Atlantic Coast Conference recognition. After the selection of Manning, the Packers now have just two picks remaining in this draft, both seventh-round compensatory selections, at Nos. 241 and 243 overall. Those picks cannot be traded.